We are a fast and professional junk and garbage removal service. Our friendly uniformed service representatives service homes and businesses throughout Scarborough. Our service team will remove anything that two men can carry from anywhere in the house (Basement, Garage, Attic, Shed). You don’t need to place them on curb. We do all the loading and sweep up the area when we are finished. Junk removal requests from Scarborough residents have ranged from single items to multiple loads. Junk Removal in Scarborough has never been so easy. Call (416) 744 8080 or 1 888 586 5888 to schedule your pickup and our service reps will guarantee fast and professional removal of your unwanted junk or garbage. We care fore the environment. 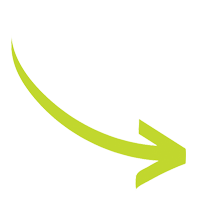 Therefore we will make every effort to ensure that your removed items are donated to local charities. If this is not possible we will also attempt to take as many items as possible to local recycling centers. We are green! Junk Removal in Scarborough has never been so easy! Call today at 416-744-8080 and our professional junk removal specialists will be sure to exceed you expectations. You can also book online!. Very friendly, very efficient, on time a great job, well done. Your men were courteous and respectful and were anxious to assist with my junk removal in any way they could. The price was fair as well. AWESOME GUYS!!!! Exceeded my expectations. Friendly worry-free service FAST!! Would not hesitate to recommend. THANK YOU!!!! The crew was very professional and the price was more than fair. They were extremely punctual and very friendly. They had everything loaded in just a few minutes. The electronic forms and receipt system was great too. Who knew that have my renno debris removed could be such a lovely experience. Will use Just Junk again. Real gentlemen, quick service. Thank you again. Jeremy and the gang did a great job! On time, they were friendly, efficient & polite. Quickly hauled everything away. Will be using them again! They arrived right on time and were very courteous. They took off their shoes to come in to give us an estimate. Jeremy was very fast and efficient in removing the debris and gave us a very fair deal. We would definitely use just junk again!! The boys called just as they said they would, apologized for any delays, were extremely polite and quick. They were easy to deal with, professional and courteous. They were in uniform and came prepared with rolling board. As it turned out this was not required. It was a pleasure dealing with them. I would certainly recommend their services. I would definitely refer anyone needing junk removal to call your company. I was given a heads up when they were coming. They arrived exactly when promised. Estimate beat out a competitor's. And this was all done remotely, I didn't even have to be there. Amazing. We were completely satisfied with the job done today.The two workers were very professional and friendly, answering any questions we had. We will be needing more work done in the future and we will gladly recommend your company. Thanks for a job well done! Extra fine job done by the guys this morning clearing out 25 years "just junk" accumulated in my garage! Absolutely awesome. I highly recommend Arne and crew who are enthusiastic, friendly, helpful and honest. 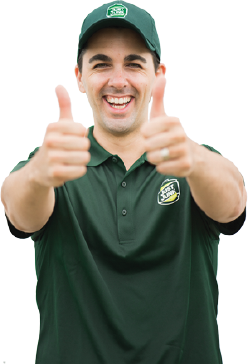 I am fully satisfied with a job well done and would not hesitate to recommend Just Junk again! Very satisfied with your service. would recommend and use your service again.So glad to get rid of that junk! Great removal team, very courteous and punctual. The whole experience was above expectations. Extremely careful competent staff. real nice persons and very careful in handling the merchandise in our house so as not to wreck something. Very conscientious fast working persons. Jeremy and Tom were fantastic. They arrived on time and took care of the removal of couch chair and various other smaller items. This is the second time I have used your services and would absolutely recommend your company to all family and friends. Jeremy and Cameron arrived at noon when they said they would. Gave us our quote and we gave the ok to proceed. These two fellows were kind, courteous, fun to be with, and worked their butts off to fill 4 truck loads, and even had 2 trucks there at one time to finish emptying my Mom's home in one day, and it was not easy as there was so much "junk". All that was not junk would be presented to a charity to take if needed. We thank these two from the bottom of our hearts for an amazing job extremely well done. Would we recommend them and Just Junk to anyone - ABSOLUTELY!!!!! The guys were wonderful! I will definitely be using you again. Jeremy and his crew were so helpful and polite. The level and quality of service was excellent! 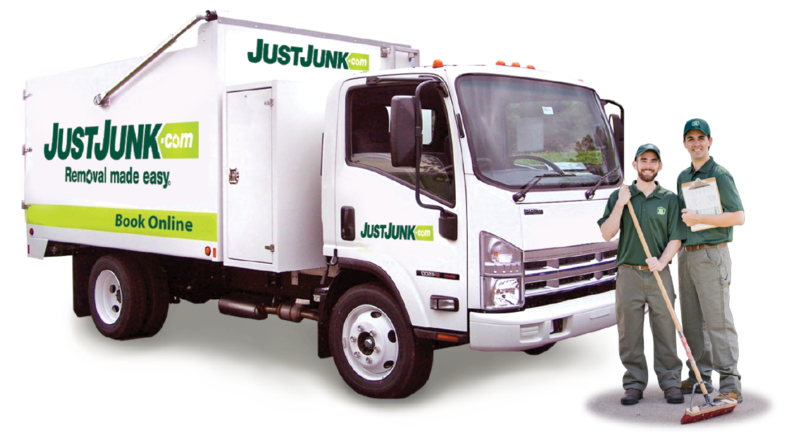 I would highly recommend Jusk Junk as I could not ask for a more professional group of people. Worth every penny! Great service- arrived on time, quickly loaded the junk & left the driveway clean. would use again for cleanup jobs!!! Jeremy and Jerry were very friendly and extremely helpful! We were so impressed with the service they provided!